Solution for: Do literate women make better mothers? Children in developing countries are healthier and more likely to survive past the age of five when their mothers can read and write. 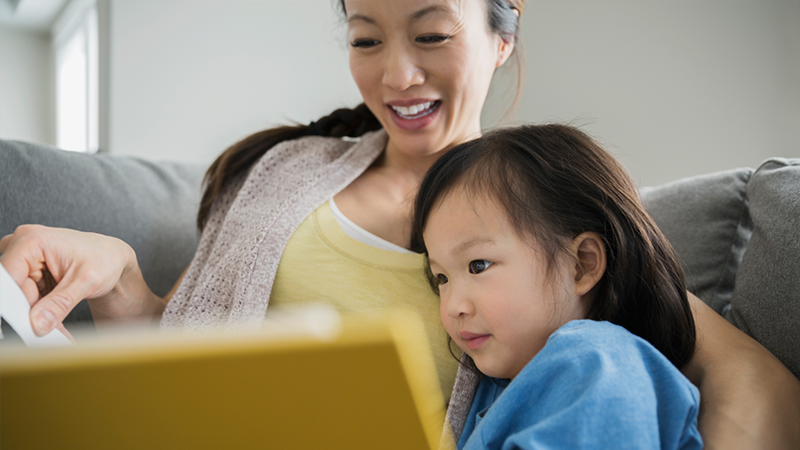 Experts In public health accepted this idea decades ago, but until now no one has been able to show that a woman's ability to read in Itself Improves her children’s chances of survival. Most literate women learnt to read In primary school, and the fact that a woman has had an education may simply indicate her family’s wealth or that It values Its children more highly. Now a long-term study carried out In Nicaragua has eliminated these factors by showing that teaching reading to poor adult women, who would otherwise have remained Illiterate, has a direct effect on their children’s health and survival. The Investigators' findings were striking. In the late 1970s, the infant mortality rate for the children of Illiterate mothers was around 110 deaths per thousand live births. At this point In their lives, those mothers who later went on to learn to read had a similar level Of child mortality (105/1000). For women educated in primary school, however, the Infant mortality rate was significantly lower, at 80 per thousand. Why are the children of literate mothers better off? According to Peter Sandiford of the Liverpool School of Tropical Medicine, no one Knows for certain. Child health was not on the curriculum during the women’s lessons, so fie and his colleagues are looking at other factors. They are working with the same group of 3,000 women, to try to find out whether reading mothers make better use of hospitals and clinics, opt for smaller families, exert more control at home, learn modern childcare techniques more quickly, or whether they merely have more respect for themselves and their children. The Nicaraguan study may have important implications for governments and aid agencies that need to know where to direct their resources. Sandiford says that there is increasing evidence that female education, at any age, is "an important health intervention in its own right’. The results of the study lend support to the World Bank's recommendation that education budgets in developing countries should be increased, not just to help their economies, but also to improve child health. Cleland warns that the Nicaraguan crusade was special in many ways, and similar campaigns elsewhere might not work as well. It is notoriously difficult to teach adults skills that do not have an immediate impact on their everyday lives, and many literacy campaigns in other countries have been much less successful. 'The crusade was part of a larger effort to bring a better life to the people,’ says Cleland. Replicating these conditions in other countries will be a major challenge for development workers. The Nicaraguan National Literacy Crusade aimed to teach large numbers of illiterate 1 ABCDEFGHIJ to read and write. However, it has not previously been known whether these two factors were directly linked or not. This question has been investigated by 3 ABCDEFGHIJ in Nicaragua. As a result, factors such as 4 ABCDEFGHIJ and attitudes to children have been eliminated, and it has been shown that 5 ABCDEFGHIJ can in itself improve infant health and survival. Do the following statements agree with the claims of the writer in Reading Passage 2? In boxes 6-11 on your answer sheet, write . 6 YESNONOT GIVEN About a thousand of the women interviewed by the researchers had learnt to read when they were children. 7 YESNONOT GIVEN Before the National Literacy Crusade, illiterate women had approximately the same levels of infant mortality as those who had learnt to read in primary school. 8 YESNONOT GIVEN Before and after the National Literacy Crusade, the child mortality rate for the illiterate women stayed at about 110 deaths for each thousand live births. 9 YESNONOT GIVEN The women who had learnt to read through the National Literacy Crusade showed the greatest change in infant mortality levels. 10 YESNONOT GIVEN The women who had learnt to read through the National Literacy Crusade had the lowest rates of child mortality. 11 YESNONOT GIVEN After the National Literacy Crusade, the children of the women who remained illiterate were found to be severely malnourished. A It is better to educate mature women than young girls. C The effects of maternal literacy programmes can be seen very quickly. D Improving child health can quickly affect a country’s economy.